Welcome to Saddle Mountain Unified School District. Our district is west of the White Tank Mountains and encompasses over 500 square miles. Parts of the district are in Buckeye and Tonopah, Arizona. 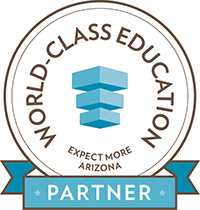 Why Enroll Your Child in Saddle Mountain USD #90? 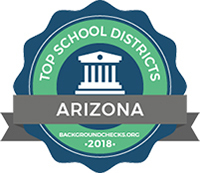 Saddle Mountain students demonstrate the highest levels of educational gains in Arizona and one of the highest in the country! Tonopah Valley High School ranked among nation's best in 2016 by US News & World Report. Seniors earned $1.8 million in scholarships! High school students earned over 450 hours of college credit over the past two years. Educate all students to become responsible, college-and-career-ready community members. Educational Programs & Services: SMUSD will provide a superior education geared toward student success by maintaining, developing, and implementing high quality programs and services. Students: SMUSD will prepare all students to graduate college and career ready. Staff: SMUSD will attract, develop, and retain high quality, dedicated staff who believe all children are capable of success. Community: SMUSD will achieve its mission and vision by engaging all stakeholders. Culture/Environment: SMUSD will attract families because of its culture and learning environment. We have a four-day school week that runs Tuesday through Friday. Ruth Fisher School, K-8, 7:45 a.m.-3:45 p.m.
Tartesso Elementary School, K-8, 7:00 a.m.-3:00 p.m.
Tonopah Valley High School, 7:45 a.m.-3:31 p.m.